The average price paid for a new home in South Africa between January and end-October was R1,12m, while the average approved bond was R893,000, according the statistics from BetterBond. That’s a shortfall of R227,000 and could be the reason for not being able to buy your next home. This is especially true for first-time buyers who only account currently for 30% of home loan approvals and who require an average deposit of 11,5% of the purchase price. Very few aspiring home buyers are aware that there is a “Plan B” that has been available since 1981, when “Plan A” – that is to secure a new home loan – fails. Way back in 1981, banks and building societies faced liquidity issues and, often to secure a home loan, an investor had to make a deposit with a bank or building society to match a loan for a home buyer. When the Alienation of Land Act, No 68 of 1981, was enacted it created a method for a property seller and buyer to enter into an instalment sale agreement in which the parties agreed to pay off the purchase price of the property over a period of time – usually a five-year period, and in at least two or more instalments. This concept is still available for all types of properties, but not for agricultural land. The answer to all bond declines? This can almost be seen as the modern-day concept of a “peer-to-peer” transaction in which the finances of a bank are eliminated and the seller and buyer enter their own financing agreement to pay off the purchase price. The question thus arises: Why is this not becoming a Plan B for all property transactions where a purchaser struggles to secure a home loan? The answer most likely lies in the reality that most property sellers are just focused on Plan A – that is to secure a cash- or a bond-approved buyer. “Few sellers are also prepared to wait for an extended time to receive the full purchase price,” says Meyer de Waal, Cape Town-based conveyancing attorney who has made an in-depth study of instalment sales and rent-to-own property transactions over the past decade. “However, we are finding that more and more sellers, particularly those who own vacant plots, investment properties or holiday homes, are prepared to wait for their money – provided the repayment of the purchase price is well structured and secured. And it works in practice, demonstrated by de Waal’s team helping to structure an instalment sale agreement for a R1,7m property. Since the National Credit Act (NCA) was promulgated at the end of the previous decade, and with recent amendments, an instalment sale agreement is regarded as a credit agreement under the NCA. A seller selling a property through an instalment sale must register as a credit provider under the NCA and then apply all the NCA rules and regulations to avoid the concept of a reckless loan. It sounds easier said than done, but the NCA registration process can take up to 12 months, says de Waal. The buyer must also bear in mind that transfer duty is payable within six months after the transaction is concluded, to avoid penalties on the late payment of the duties. The instalment sale agreement as well as the process that follows after the parties have entered into the agreement is prescribed by the Alienation of Land Act and it is quite an administrative-intensive protocol to follow, says de Waal. It does, however, provide good protection for a home buyer. Bearing the above in mind, is this method of selling “dead in the water”? But is there even a Plan C? There is a Plan C, says de Waal. “Some 10 years ago we started and fine-tuned the concept of rent to own,” he says. “The concept of Rent2buy was then developed. 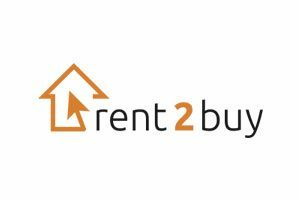 The upside of the Rent2buy concept is that it is a simple process to conclude the Rent2buy agreement. We usually use the same deed of sale/offer to purchase that the seller and buyer signed (which ‘collapsed’ when the home loan was declined) and add a Rent2buy option on top of it, plus a lease agreement and an ‘exercise of the option’. The Rent2buy concept is not regulated under the Alienation of Land Act, but rather a formal purchase agreement is drafted (if not already in place) which sets out the purchase price and terms that will kick in once the option to buy is exercised. The buyer usually pays a higher rental than he would have paid for a “normal” lease of the property. The extra rental is paid to the seller, but credited as a “savings towards a deposit” by the seller. This means that at the end of the Rent2buy term, the purchaser can deduct the deposit paid and apply for a smaller home loan. One of the large lending institutions even requested to partner with de Waal’s team as it realised that when a Rent2buy purchaser applies for a home loan at the end of the Rent2buy term, it is supported with a full history and proof of regular payments of an instalment that is as close as possible to a future home loan instalment and is also supplemented with a strong credit score and other up-to-date financial documentation. What if the buyer defaults? The biggest hurdle de Waal and his team faced was a shortage of Rent2buy stock, he says, noting that this is now yesterday’s problem. With the new Rent2buy Finance product that was launched in November 2017, most likely the hottest new way of buying a property in 2018, will be an innovative way for home buyers in Gauteng and the Cape Peninsula to secure the home of their choice in the price ranges from R400,000 to R1,8m. My Bond Fitness is the brain child of practicing attorney, Meyer de Waal. "Our vision is to see every South African unlock their true financial potential and achieve one of the cornerstones of freedom – their own home."